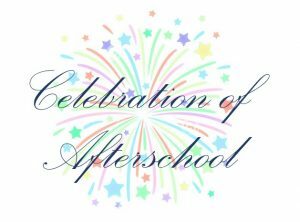 Join us on November 2, 2018 to celebrate the professionals, programs, and champions that make Afterschool Work! in Missouri. Our Celebration luncheon will take place during the annual MOSAC2 PDI. Want to recognize a program, professional, or partner? The recognition luncheon is a special time to honor afterschool professionals for attaining their educational milestones (associates, bachelors, graduate degrees) and for their years of service in the field. Programs also receive recognition for earning accreditation and for years of service to the children, youth, and families in their communities. Years of service recognition is in 5-year increments, or in the year of retirement. You can also nominate a special community partner for recognition of their support to your program and afterschool. Click here to for information about submitting individuals, programs and partners for recognition. During the Celebration of Afterschool Luncheon, we will also be giving out the annual MOSAC2 awards for Outstanding Professional and Rising Star. Click here to read more about these two awards.